What is the very first thing that comes to your mind when you think about Austin interior painting? How can I add some color to my home? How can I make my inside space stand out? What are its advantages? Let Southern Sunrise Paint Co take the hard part out of it and trust that we are professionals who are well-versed in the house painting industry and will take care of your project with respect. Call us today for a free estimate! When you’re on the verge of refurbishing your own home, it’s encouraged to stay in touch with a reliable and professional company, which caters to a wide array of interior painting needs. Nevertheless, in a few situations when you really need to design your home, you can get your hands wet with paint; however, that would need a certain level of cognizance of expertise. How about trying to consult a company, which is qualified to finalize your painting needs with ease? Let Southern Sunrise Paint Co be that rock to lean on. Your dwelling must be a place, that makes you feel relaxed and worthy, and interior painting is one such project, which can transform the look and quality of your home. For example, you have been thinking to add some warm colors to a specific room, which has seemed pale and dull for a long period of time and would like to redesign the same space with something more stunning. You can expect a superb level of work from a professional who is adept at working the room-scape of your interior design, so your home regains its proper tranquility. You would have the perfect equipment with a reliable worker who is well trained at doing the tasks so that your home regains its potential. You would also find the right tools and equipment with an expert Austin interior painting contractor at Southern Sunrise, who is required to conduct painting tasks efficiently and productively. Rest assured that we are equipped with paint rollers, different sized rollers, paintbrushes, paint machines, which allow us to work a lot faster. The time has now come when you don’t need to cover your priceless furniture and rugs concealed with blankets, let us prep your space perfect and efficiently as getting your paint job done on time plays a crucial role. You will find countless painting companies out there, which serve all your painting needs. 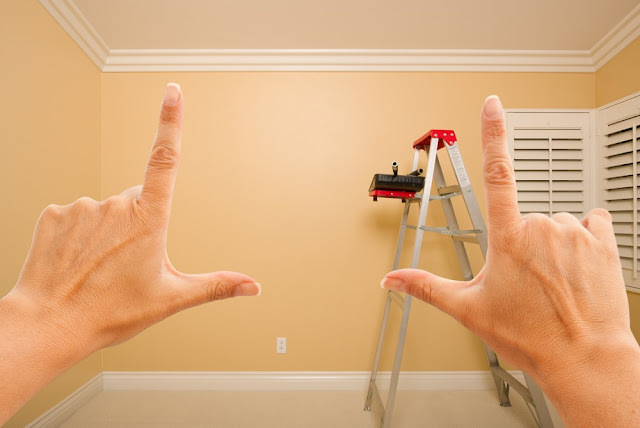 Nevertheless, you must always count on the services of a dependable interior painting company like Southern Sunrise, which can very well understand your desires when it comes to what you’re searching for as far as the designing of your home is concerned, and this is conceivable if you get the expert services of Austin interior painting tradesmen. Obviously, you wouldn’t want your home painted in a sloppy way, which leaves your home looking disordered and messy. Such chaotic work will not make a good impression on your visitors irrespective of how graceful your home is. You must be extra aware that we respect your home and your space, we keep our job sites clean and the paint on the walls! And that’s why you must let a professional complete your project for you, we care, and we want your business for years to come. Call Southern Sunrise Paint Co today.